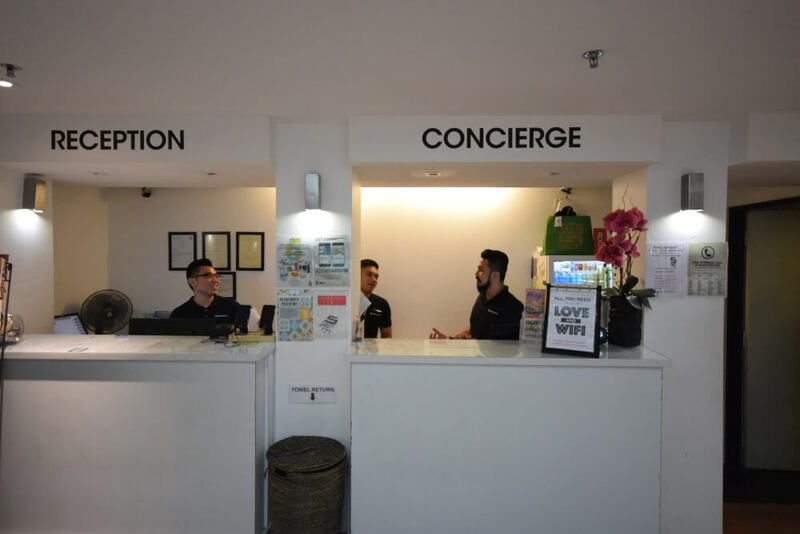 After always staying in hotels this time we took the opportunity to experience hostel stay in Singapore. 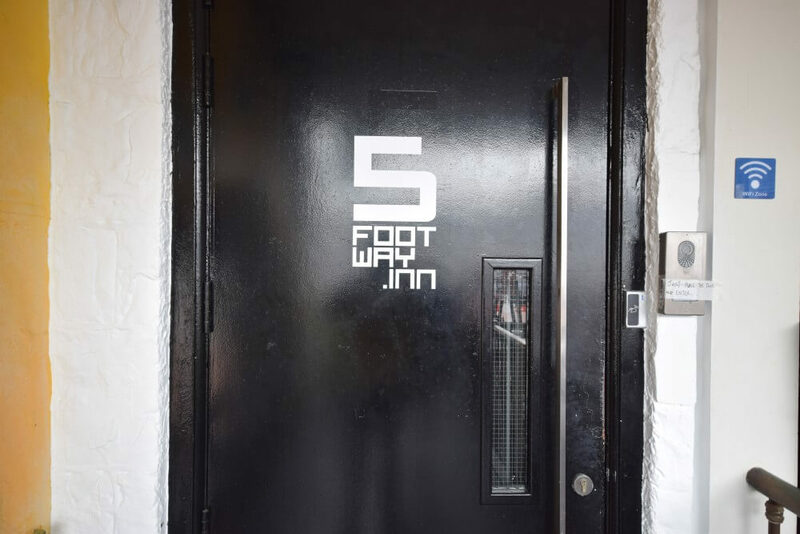 For that we choose 5footway.inn Project boat quay hostel. They also have other branches in Chinatown and Bugis in Singapore. 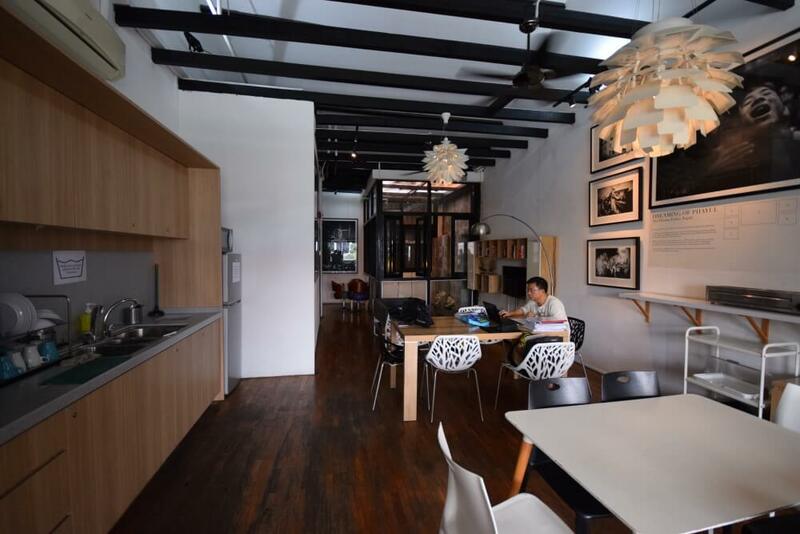 Project boat quay is a boutique hostel which is located in Boat Quay area of Singapore. 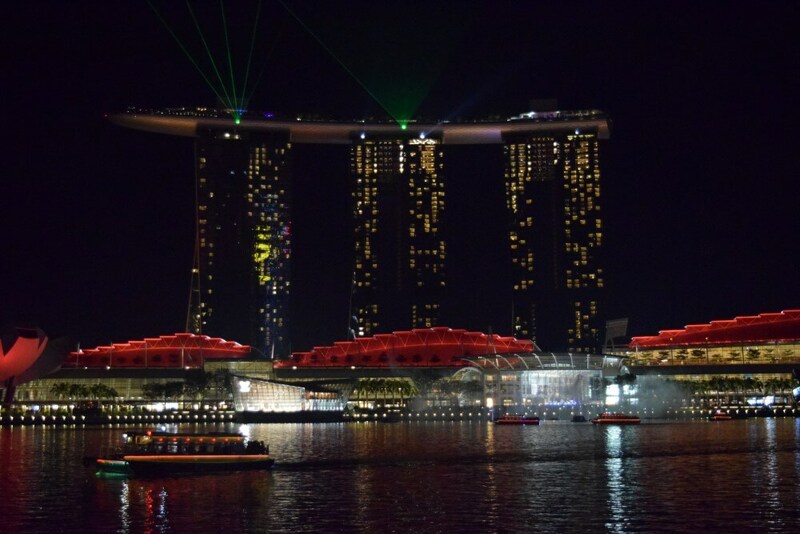 It is the one of most happening and the partying area in Singapore. The street is filled with pubs, bars, coffee shops and restaurants with almost every cuisine. The location of project boat quay is very appropriate as we can’t miss to see the river view from our hostel balcony/terrace. 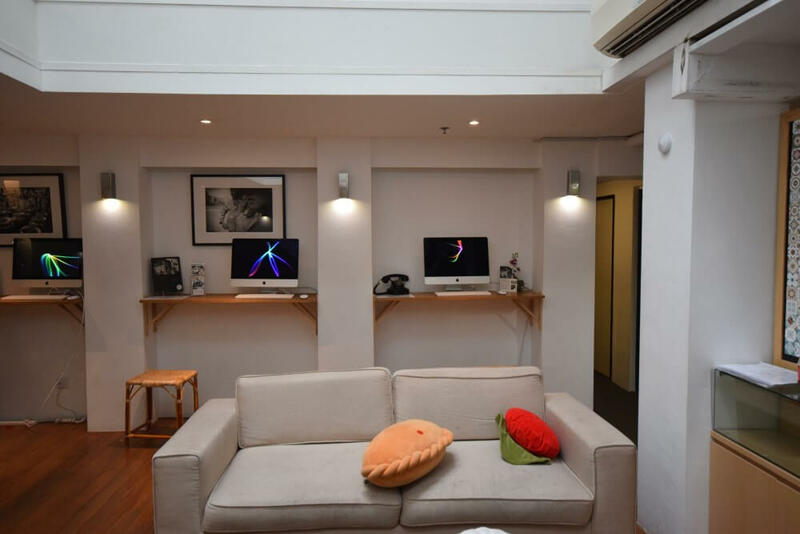 Reaching to hostel is also quite easy, either take a cab from airport to Boat Quay or MRT. 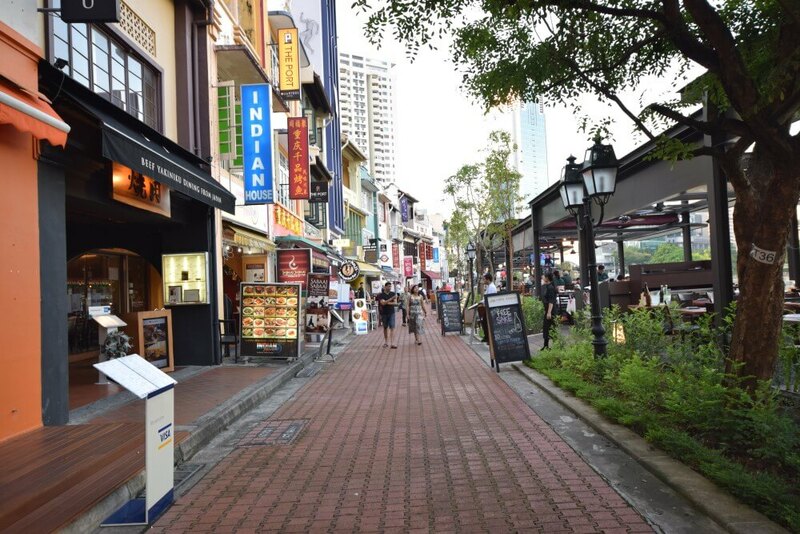 It is just 3 minutes’ walk to Raffles Place MRT station and 5 minutes’ walk for Clarke Quay station. We reached our hostel at 11.30 pm on Friday night and oh what a scene it’s party going at every corner of the street. 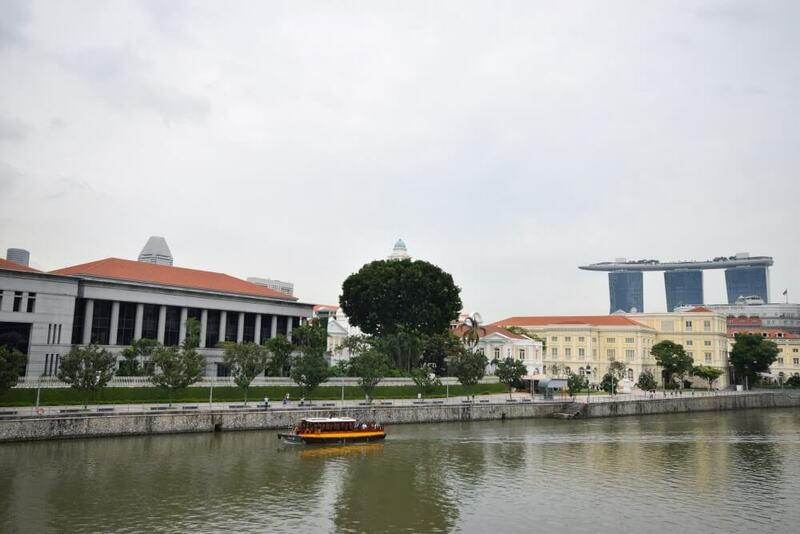 From here you can easily explore Singapore top attractions and other places. The check-in process was very smooth at reception. Along with the room key card they also provided us a cellphone. From the handy set we can make free calls within Singapore and also free international calls to specific countries along with unlimited 4G data to use. Than the staff took us to our room. The room which we got was a private room with triple occupancy. Room was very clean and compact. It was a double story bed. Nice! The bathrooms are not attached with the room. They were present on the same floor. Males and Females have separate bathrooms. But hat’s off to the services because they were clean throughout the day which really impressed us. 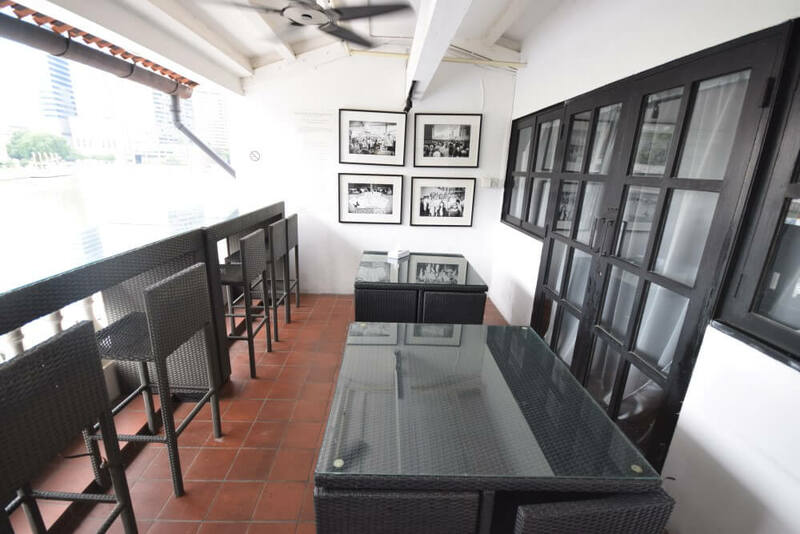 Project boat quay hostel provides complimentary breakfast at their terrace dining room. Breakfast timings are from 6.30 am to 10.00 am. Breakfast is quite filling to start your day. 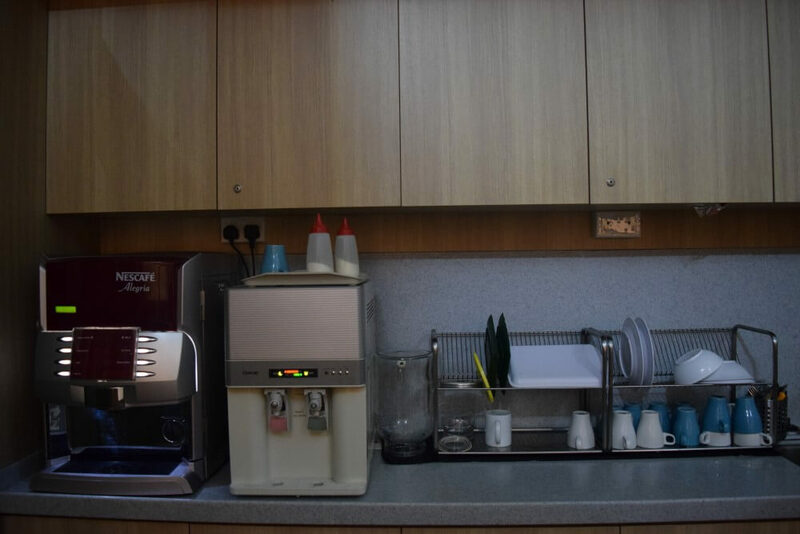 There is a coffee and tea machine which is available 24*7. 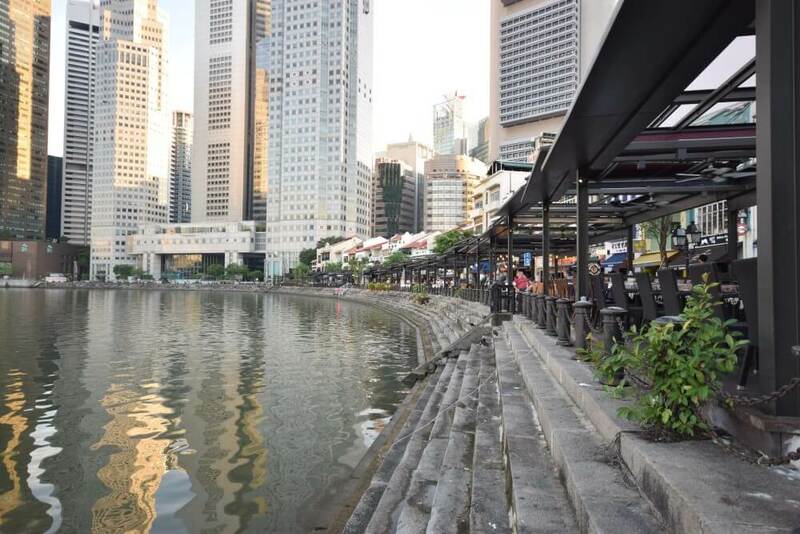 Enjoy your coffee with a lovely view of river and happening street of boat quay. Breakfast includes breads, fruits, cakes and few other bakery products. Everything is self service and good thing is you have to wash your utensils after use. 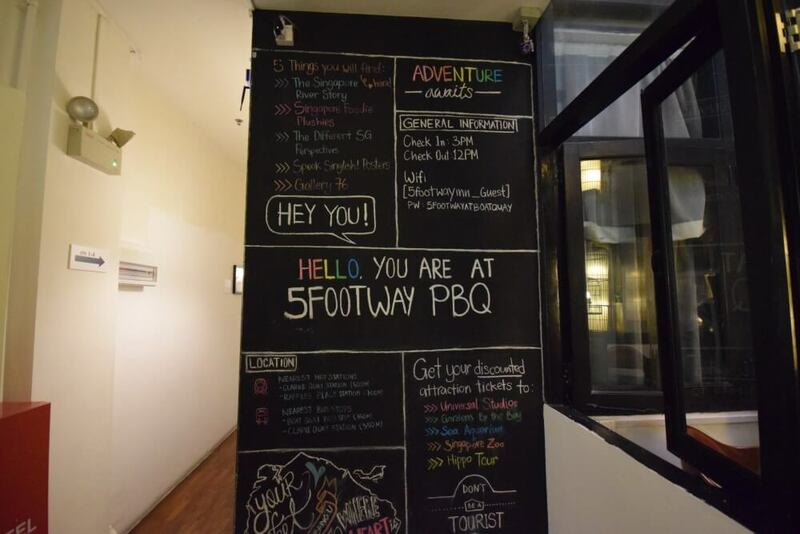 Other Facilities provided by 5footway.inn project boat quay hostel. Free Printing services at reception. Hot/cold shower in bathroom throughout the day. 24 hours reception service for any help. We decided to spend our evening at Marina Bay. 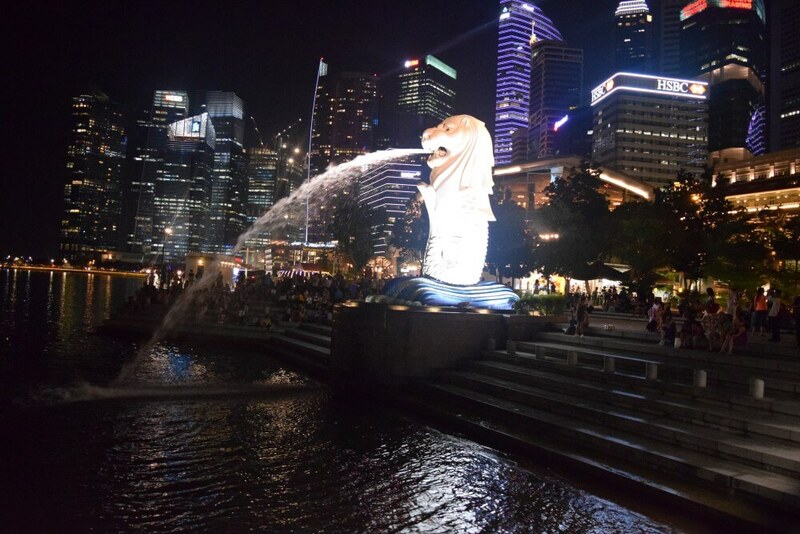 After just 10 minutes’ walk from project boat quay hostel we arrived at the Merlion Park at Marina Bay. 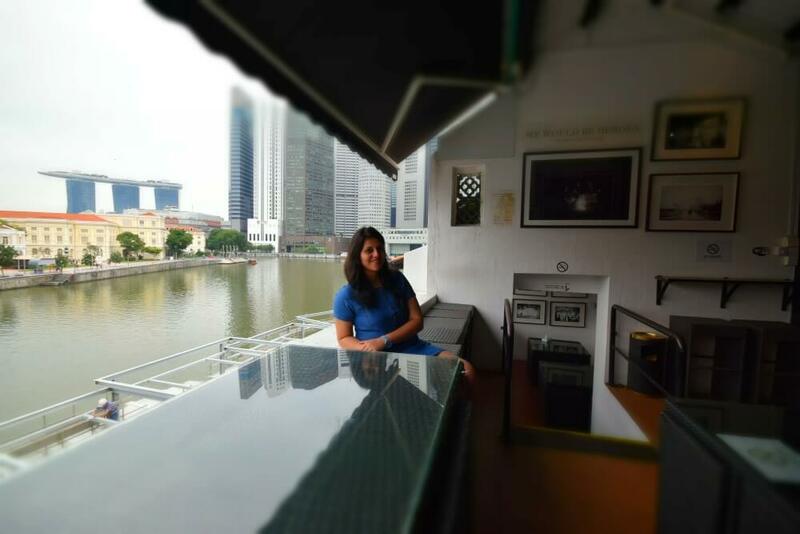 Staying at Project boat quay was a wonderful experience altogether. It was super hygienic, neat and clean. The location is simply amazing in the heart of Singapore. And most important the staff is friendly. If we will get a chance we will definitely try to stay in their other properties too. Follow us on Instagram for more pictures and travel stories from around the world. 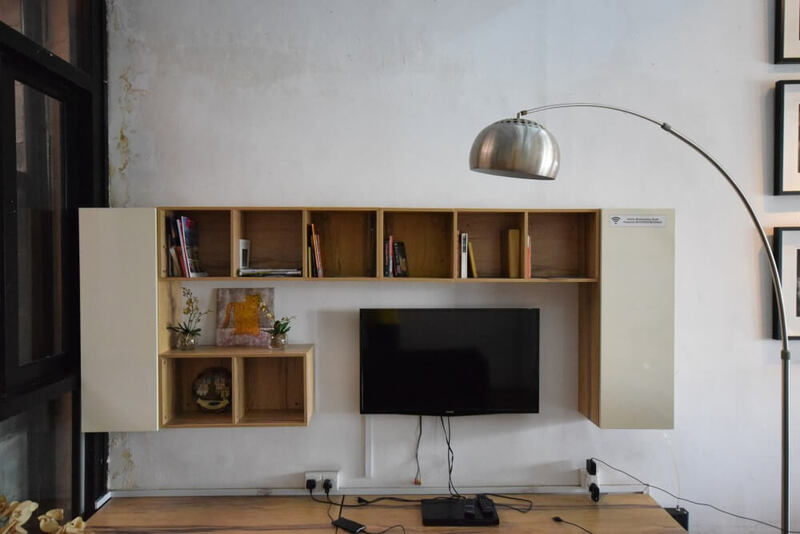 Disclaimer: This post is in collaboration with 5footway.inn project boat quay hostel Singapore but we own all the views and opinion to bring out the honest review for our readers. Nice hotel… seems it packs a lot of things inside. Also liked the snaps from all over the city. The hostel has an ideal location. Just to experience that I may stay there. I will check this out in my next visit there. Wow that looks like a really sweet deal! They provide you with a phone with mobile data! Now that is what i call great service that even hotels don’t have. 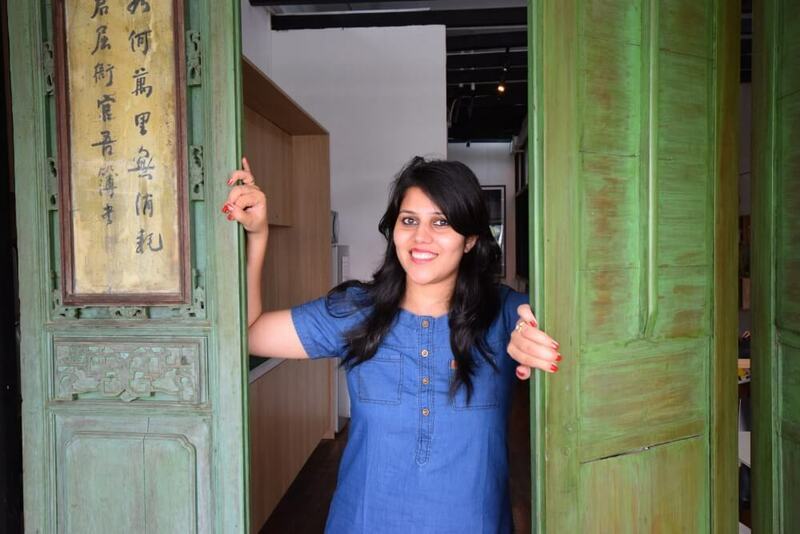 Actually, design/boutique hostels are my favourite accommodation as they can always surprise you with great facilities on amazing prices. And a hostel with a river view is just perfect! It looks like a perfect place to stay. 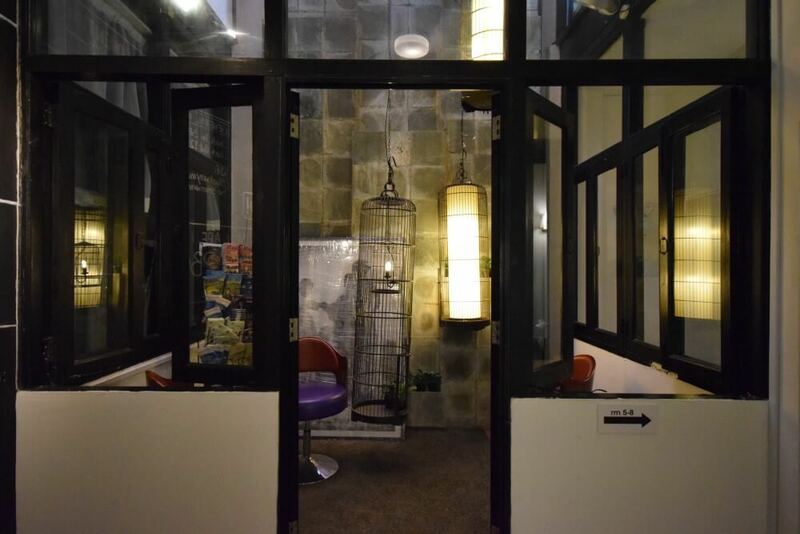 Excellent location and facilities are the most selling point of this hostel. I would love try in my next trip. Looks to be a warm place. Thanks for the information. Will definitely look it up next time. The place oozes fun. I hope to visit this place some day. Thanks for the input. Sounds you had a great first time hostel experience. It sounds like a great place and very well located. The room looks a bit small but being in that area, who wants to sleep anyway 😉 Thanks for the staying tip in Singapore. Wow this place is perfect. 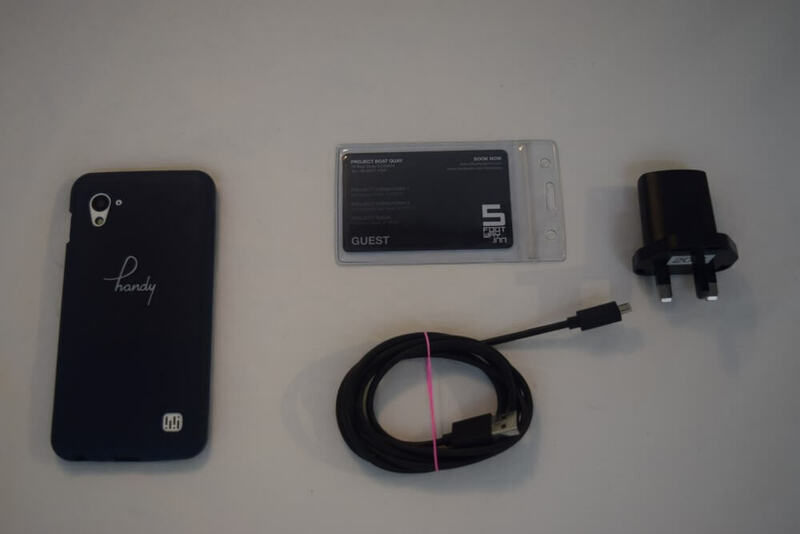 I’m impressed by everything included such as the mobile phone with 4g data. That would be really useful for exploring the city. I’ve heard accommodation can be expensive in Singapore so a hostel like this is the way to go and it’s conveniently located. That is indeed one great hostel. And the location makes it a winner. 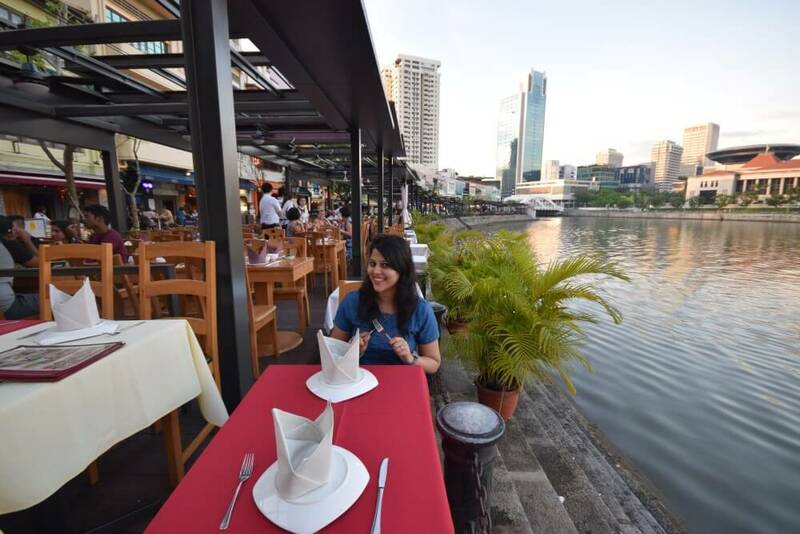 Love the restaurants next to the river, my kind of place! Looks really practical. And it is always nice to be along the waterfront. How was Singapore for sightseeing? I really like the unique concept of the hostel. I have never stayed in a boutique hostel before and that sounds very intriguing. I’d like to give it a try. It does not look like a hostel at all. And the location is amazing indeed. Glad you discovered this place. Will be sharing it around. Makes Singapore a lot of more affordable. Since I have family in Singapore, never could get a chance to stay at any hotel. More the reason why reading about one of the facilities was quite a welcoming change. The place seems beautiful and comfortable. I’d say it’s a very neat hostel, and the fact that they give you a mobile while there it’s absolutely great! Too bad I noticed that the older/less young I am, the more I want a private bathroom when booking a room somewhere, especially when I travel in a couple. But in case I’ll do a solo trip again, I could consider that option again. Sounds like a very nice hostel! I wish I knew about this when I was in Singapore! Looks great! 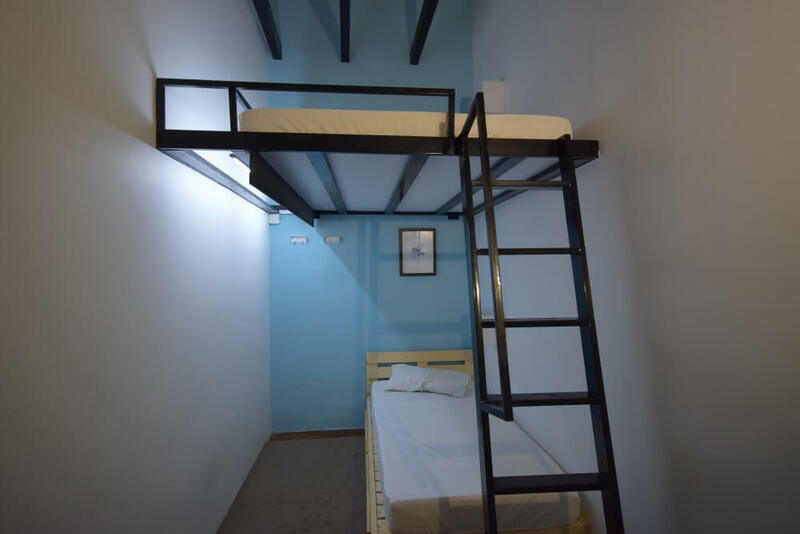 The hostel itself seems very spacious and clean, with excellent facilities, and its location and pleasant surrounding areas make it sound like the perfect place to stay. The library looks more like a computer room…but I guess that’s what many people think of as libraries these days. Awesome place… It would be a nice traveling experience as a whole! Beautiful place and beautiful hotel…..